I just love browsing through Target! I happened to find some adorable bear plates in Target over in the paper plate section and immediately knew that I could use them for a counting activity with my students. 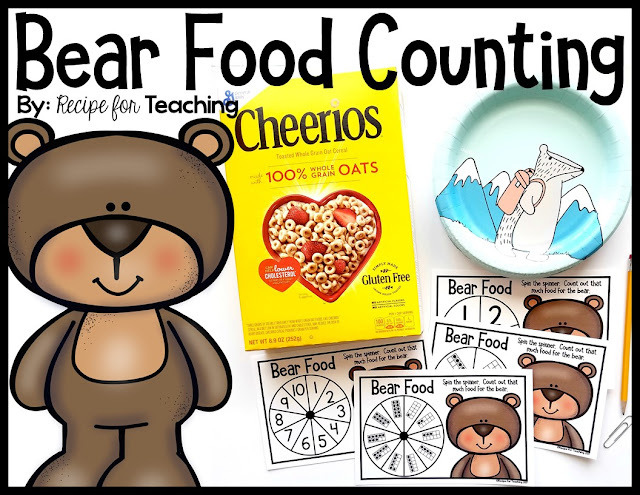 Counting 1-10 is an important skill for my kindergarten students and this Bear Food Counting activity will help with mastering that skill. This activity was easy for me to prepare. I picked up the bear plates from Target. 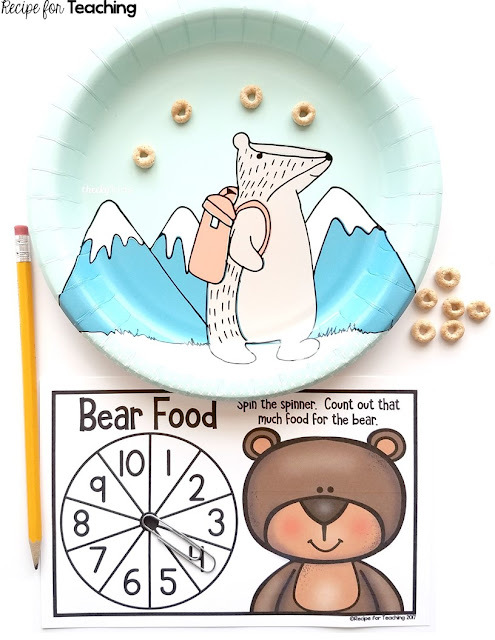 I printed the Bear Food spinner on white cardstock and laminated it for durability. Since there are two Bear Food spinners to a page, I used my paper cutter to cut them in half. I also grabbed a paper clip and pencil for students to use to spin the number spinner. I chose to use Cheerios cereal for the "bear food," but you could use any manipulative of choice if you did not want to use food. 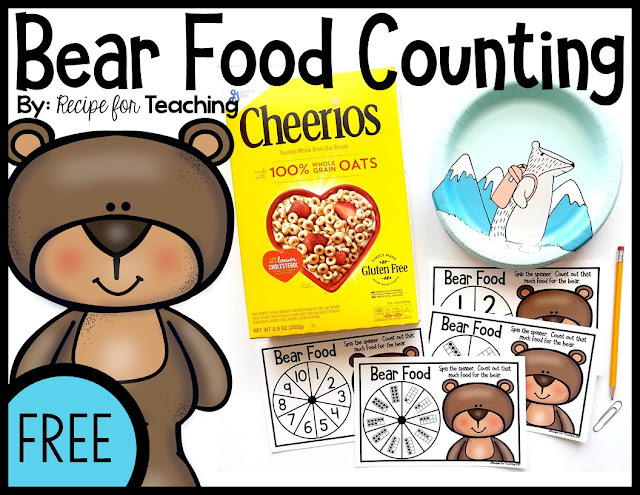 Students then count out that much food for the bear on the plate. I like to make sure my students are practicing one-to-one counting when counting out manipulatives. I also like to make sure my students say the last number for the amount they counted and repeat how many they have. This is a great way to practice number sense skills. Students continue this process independently or with a partner. This activity can be easily differentiated because you can choose which spinner you want your students to use. If you have laminated the spinners, you could also have students practice writing the number that matches the amount of food on the spinner board. The bear's tummy is a perfect place for writing the number if you choose to do this. This activity is perfect for your small math groups, independent work, partner work, or a math station. Ready for some Bear Food Counting fun?! Just click the image below to grab your FREE download!